Dusty Britches here along with Cuss Cussler, The Ranchita Kid, and The South African Queen. Well, the trout bite is still down but it is made up for with a fair amount of channel catfish, crappie, and blue gill being taken. 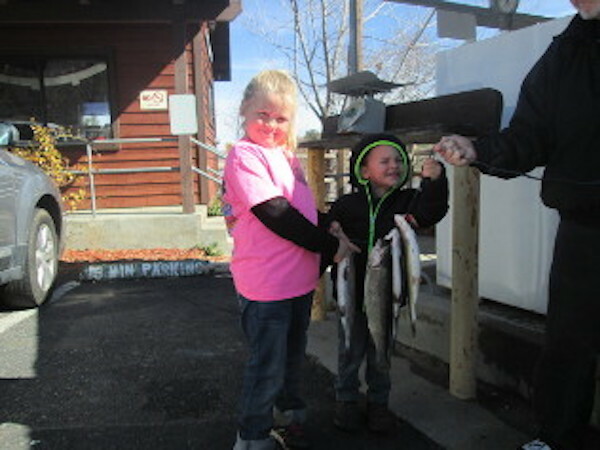 We are expecting a delivery of 1,500 pounds of rainbow trout from Wright’s Rainbows out of Idaho later this week. Sherman, the owner, had a little medical problem, then mechanical problem otherwise the fish would have already been here. The Santa Ana winds are also making it a tuff go for our anglers, some gusts up to 50 miles per hour. Camping on the weekends is still pretty good with our housing and R.V. sites booking up first. The Ranchita Kid keeps a close eye on the front gate to make sure the access fee is paid among some of his other duties, like accounting for the campers, getting them in their respective sites and bedding them down. He does a good job. 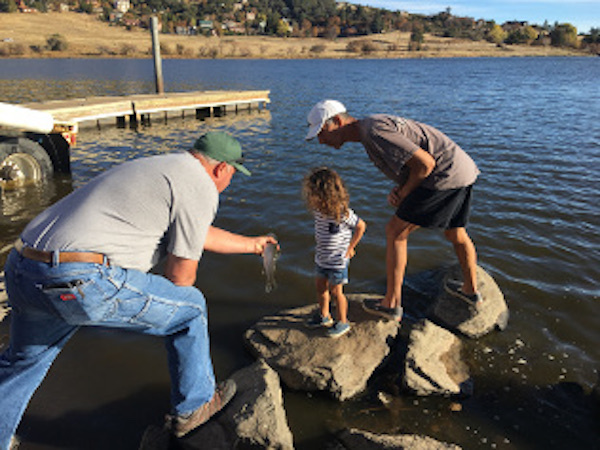 It is interesting to see the vast number of people who come here to fish, they have the rods and reels, the tackle, the bait, but need a fishing license. By now, you would have thought they would already have bought one. 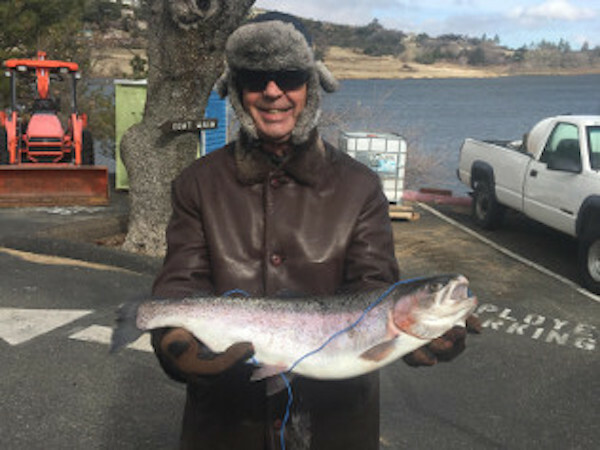 It is my recommendation to any angler at this time of the year to just go with a 1-day license until someone at the State level changes the licensing from the calendar year to a full year from the time you purchase it. I wonder if they know, or care, how much money they are losing? It is a repetitive scenario explaining why an annual license is not worth the money to buy if the angler doesn’t even know if or when they will be fishing again between now and the end of the year...enough said. We sat outside on the deck of the restaurant having a cup and watching the two resident bald eagles soar effortlessly on the updrafts. Neither of them flapped a wing in 15 minutes, just cruised, then adjusted their altitude down to about 20’ above the surface of the lake until they saw some fish in the shallows. Swooping down, they both plucked a trout out of the water. Yes, a double header. And only then did they have to exert energy to fly off with their prey. Hunting machines, yes. I only wish they liked carp!